Ulaanbaatar – A group of Mongolian herders submitted today an official complaint to the Project Complaints Mechanism of the European Bank for Reconstruction and Development (EBRD), hoping to initiate a process of evaluation of the adverse impacts on their health and livelihoods of two mining projects financed by the international public lender. The mining boom in Mongolia has raised high expectations for lifting the country’s population out of poverty. However, pastoralist communities now find their traditional lifestyle threatened with extinction. The EBRD has approved investments for more than one billion US dollars in the Ukhaa Khudag coking coal mine , the Oyu Tolgoy copper and gold mine , as well as several more fuel and metal resources projects  in the South Gobi region that benefits from its closeness to China. Export of raw materials from these mines was meant to be done by rail. However, continuing delays with the rail project resulted in a several desert routes that fragment and spread dust over pastoral land. The complaint is submitted under the EBRD’s Project Complaint Mechanism, and seeks redress and compensation for the unmitigated negative impacts and damage caused by transportation of the commodities to the Chinese market. Beyond the damage inflicted by the roads, there are further impacts caused by the construction of mine-supporting infrastructure, such as water pipelines, river diversions, worker camps, airstrips and electricity transmission lines. 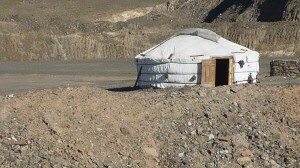 The grievances of the herders are a result of inadequate public consultations and impact assessments for the two projects: the Ukhaa Khudag Environmental and Social Impact Assessment (ESIA) focused on the advantages of the railroad over the road infrastructure, while the Oyu Tolgoi assessment is retroactive, lacking operational plans, and focusing on mine construction at the time when construction is almost completed and production is beginning. 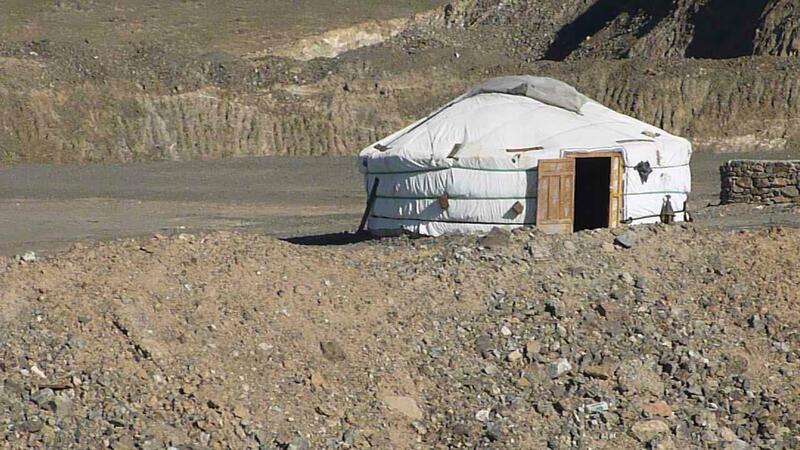 Sukhgerel Dugersuren from OT Watch said “Mongolian nomads are land-based mobile people. Not recognizing their right to the pastures, which to date are regulated by customary tradition, and not measuring impact on nomads’ livelihoods based on reduced, fractured, contaminated pastures by mine roads is just not acceptable. It is not compliant with the accepted international norms and standards set to protect land-based people. Energy Resource has a dirt-graded road, blacktop road and a planned railroad. Oyu Tolgoi has a dirt or graded and plans a blacktop and a railroad. The roads all go from north-to-south to China. All animal migratory and grazing routes go from east-to-west. Companies are not good at putting adequate passages in their roads blocking access to water and pastures for livestock and wildlife. Richard Harkinson from London Mining Network said “The herders’ situation has been severely compromised by the lack of engagement by international public banks and mining companies with impacted and displaced communities. These mining projects will inevitably exacerbate competition for scarce water resources, massively increasing the vulnerability of already quite marginalised communities”.